With winter weather approaching you should not forget to make sure all of your cattle have access to fresh drinking water. Even though with these cold temperatures it might not seem like they need to drink as much water as normal, it is vitally important that they can get to water. The water needs of cattle are influenced by a number of factors such as: rate and composition of gain, pregnancy, lactation, physical activity, type of ration, diet salt content, dry matter intake and environmental temperature. This time of year cattle are trying to stay warm so they won’t be doing a lot of physical activity. 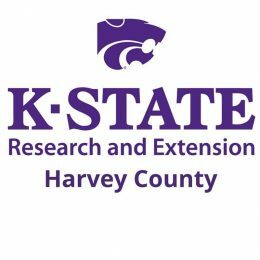 A study done by Kansas State University showed that in January, on the average, water intake with calves weighing 600 lbs. was 5.0 gallons per day and 1000 lbs. it was 8.5 gallons per day. If you fall calved and have cows milking right now they will need to have access to around 11 gallons of water per day. A good way to keep the water thawed is by putting a water tank heater in the water tank. If you do that you need to check it often to make sure it is not shorting out in the water. A good thing to look to tell if a short does happen is the cows will congregate around the water tank but will not be drinking. Keeping a close watch on your cattle should tip you off fairly quickly to a problem. With winter weather slowly approaching we should not forget to make sure all of your cattle have excess to fresh drinking water. Even though with these cold temperatures it might not seem like they need to drink as much water as normal it is vitally important that they can get to water. The water needs of cattle are influenced by a number of factors such as: rate and composition of gain, pregnancy, lactation, physical activity, type of ration, diet salt content, dry matter intake and environmental temperature. This time of year cattle are trying to stay warm so they won’t be doing a lot of physical activity. A study done by Kansas State University showed that in January on the average water intake with calves weighing 600lbs was 5.0 gallons per day and at 1000lbs it was 8.5 gallons per day. If you fall calved and have cows milking right now they will need to have excess to around 11 gallons of water per day. A good way to keep the water thawed is putting a water tank heater in the water tank. If you do that you need to make to check it often to make sure it is not shorting out in the water. A good thing to look for if a short does happen is the cows will congregate around the water tank but will not be drinking. Keeping a close watch on your cattle should tip you off fairly quickly.